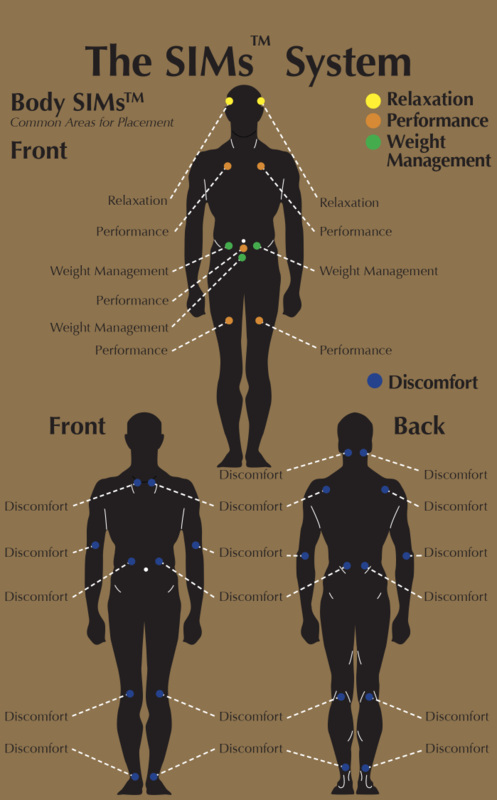 Senuvo Body SIMs™ are technologically advanced solutions for discomfort, relaxation, weight management, and physically active persons. These computer-programmed holograms channel concise messages to assist your body’s needs. Vital energy is supplied to every part of our body through a complex distribution network called the Meridian System. Disrupting the Meridian System may cause disease and breakdown in the immune system. These disruptive problems are improved by using Senuvo Body SIMs™. For optimal effectiveness, it is important to drink plenty of water while wearing Body SIMsTM to keep properly hydrated, and to maximize the effectiveness of the Body SIMs™. Senuvo Body SIMs™ contain no chemicals or other transdermal, invasive substances. Senuvo Body SIMs™ work naturally to heal and improve your health without chemicals or negative elements that can cause opposing reactions.